The one problem with living in the Southern Hemisphere (proximity to Europe aside)? The agonising wait we always endure before we can dabble in the new season fashion trends everyone else on Instagram has been wearing for months. But spring is finally here – and with it, the chance to try our hand at the envy-inducing outfits the street style set at Copenhagen Fashion Week have been pulling off with such aplomb. In case you missed the memo: Paris has officially been dethroned as the world’s cool-girl capital, and instead of coveting French fashion, we’re craving the effortless style seen on the Danish It-girls that are blowing up our Instagram feeds. 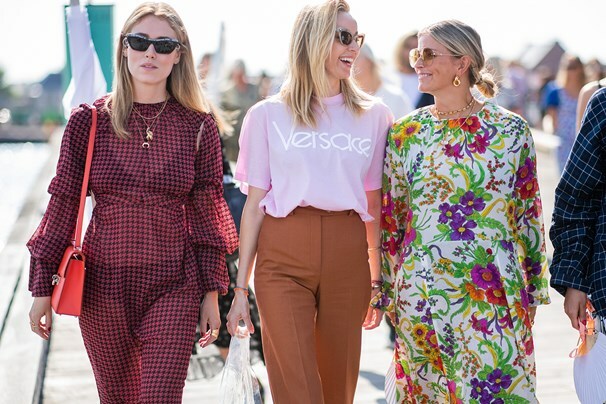 Taking our sartorial cues from the likes of Pernille Teisbaek and Amanda Norgaard, we’ve rounded up the top trends to emerge from the Nordic summer – just in time for the Australian spring. Every season brings us a fresh dress trend: last year, it was all about the off-the-shoulder silhouette: this spring/summer, it’s the reign of the wrap dress. Floaty printed dresses and tops, cinched at the waist with wrap ties for a universally flattering fit, were everywhere at Copenhagen Fashion Week: buy yours from under-the-radar Danish fashion label VERO MODA. One of the defining trends of the new season? Loose tailoring, given a decidedly un-business-like twist by way of look-at-me brights and pastel hues. From breezy silk two-pieces in all the colours of the rainbow (think everything from vivid green to peach to purple), to block-colour dresses and billowing balloon sleeves, coordinating separates were just as popular as dresses at Europe’s most recent fashion weeks. Looking for something that’s a little more office apropos? Checked suiting is everywhere right now, from chic check blazers (we love this check blazer with a slight ‘80s edge by VERO MODA) pared back with boyfriend jeans for weekends and tailored black pants (or even matching check trousers) for work. You can take embrace the check trend beyond the blazer and incorporate it into summery outfits too – try Danish brand Cecilie Copenhagen for sweet embroidered check dresses and separates, or Swedish label Anine Bing. Florals, for spring? The phrase has become almost as over-used as the trend itself, but trust us: neither are going anywhere. 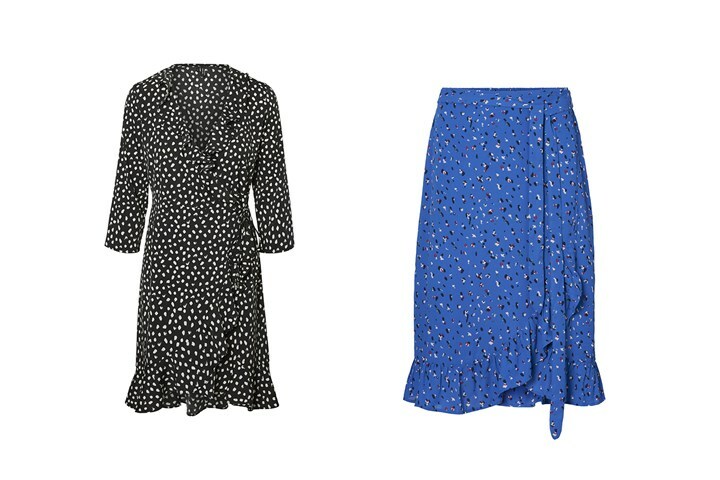 Delicate florals, printed onto bold colour, are being seen predominantly on statement dresses and skirts to take you from early spring. From the ubiquitous cropped boyfriend jean to denim culottes and high-waisted shorts, denim is essential to anchor the season’s floaty florals and silk separates. 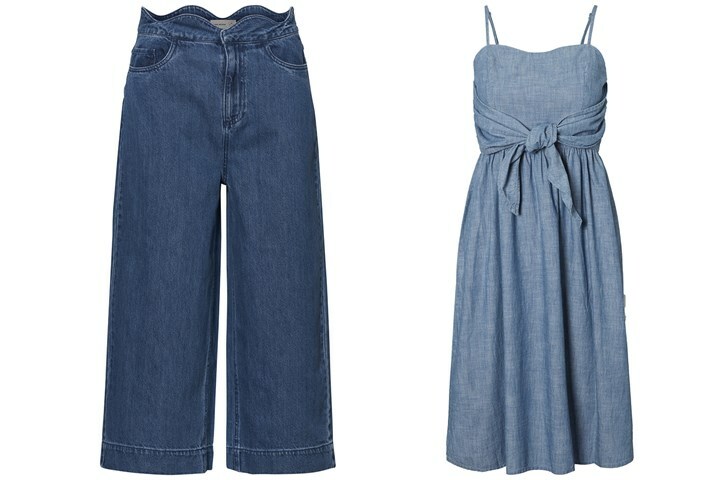 But it can also be worn all on its own: take the VERO MODA denim dress (available November), a versatile piece vital to any woman’s spring/summer wardrobe, or the MSGM denim trench.